Cleveland, Ohio, circa 1910. 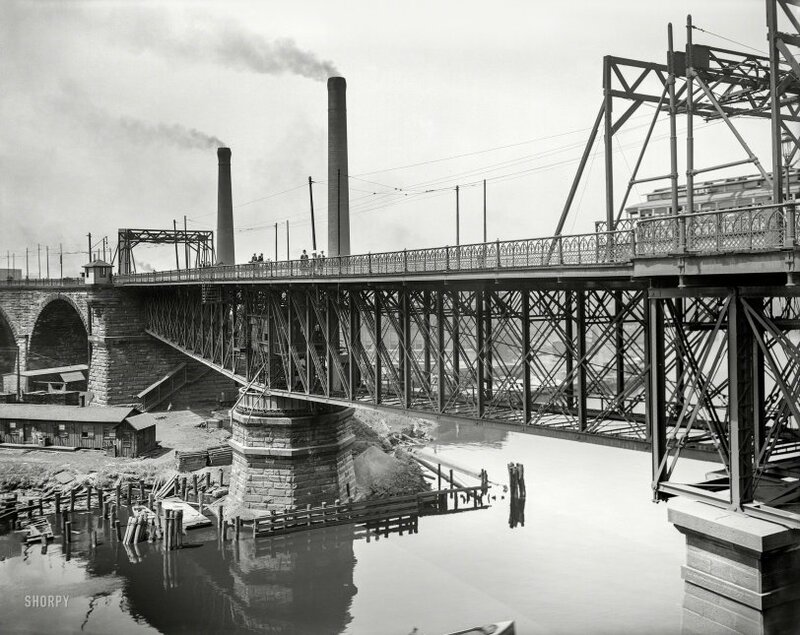 "Superior Avenue viaduct over the Cuyahoga River." 8x10 inch dry plate glass negative, Detroit Publishing Company. View full size. Submitted by perpster on Tue, 08/14/2018 - 11:58am. Submitted by jacurtis on Tue, 08/14/2018 - 9:13am. The stone viaduct is still there today, but the metal bridge is long gone. There are apartments/condos built on top of the viaduct these days. Submitted by J W Wright on Tue, 08/14/2018 - 7:08am.